With the decision being made to remove sailing from the Paralympics, the Andrew Simpson Sailing Foundation pledges to use the funds raised through Bart’s Bash in 2016 to help promote and develop disabled sailing globally. In 2016 Bart’s Bash will take place across two days: the 17th and 18th September. Since Bart’s Bash started in 2014 the event has seen over 45,000 sailors participate across 62 countries. In 2016 Bart’s Bash aims to encourage more sailors and countries to participate across the world and continue to be one of the highlights of the sailing club calendar bringing members and their family and friends together. Iain Percy ASSF Trustee commented “The money raised from Bart’s Bash has already enabled the Andrew Simpson Sailing Foundation to support grassroots sailing projects around the world, allowing children and young people to experience the sport who otherwise would not have been given the opportunity. This year we want to focus our efforts on disabled sailing. Bart was extremely passionate about the power that sailing has and that it should be accessible for all. It is a travesty that the Paralympics is dropping sailing after Rio 2016 so we have placed Bart’s Bash on the last two days of the Paralympics Games. It really is a call for the worldwide sailing community to get together and help raise funds for disabled and Paralympic sailing in the future”. Since being founded in 2014, the Andrew Simpson Sailing Foundation aims to improve the lives of young people through sailing. 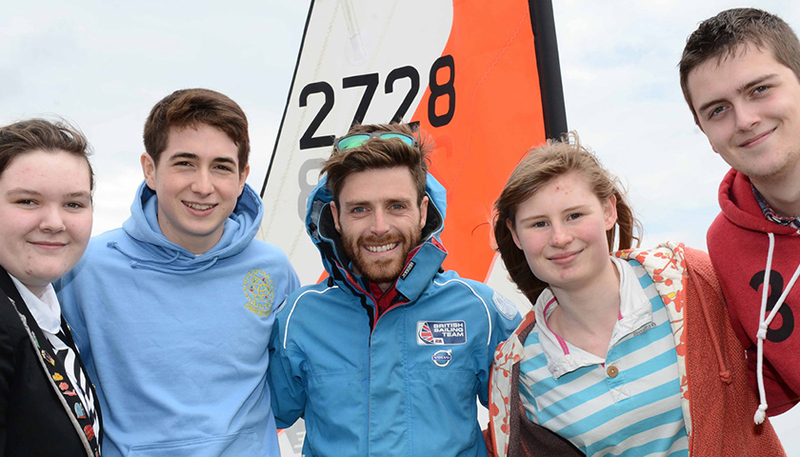 The Foundation recognises that sailing as a sport is not always accessible to all due to; financial, physical, learning disability, mental health or social barriers. The Charity therefore works to breaks down these barriers by working with sailing providers by offering financial and practical support. To date the Andrew Simpson Sailing Foundation has pledged funds of over £600,000 on a range of inspiring sailing projects across 8 countries. Some of the projects supported in 2016 include: A UK national project with Blind Sailing, Chicago Park Districts Community Sailing Program, UK National Schools Sailing Association, Hungarian Yachting Association and Leicestershire and Rutland Youth Sailing Association.